It helps to stabilize the natural pH after washing to prevent irritation, and contains calendula extract which has excellent soothing properties. 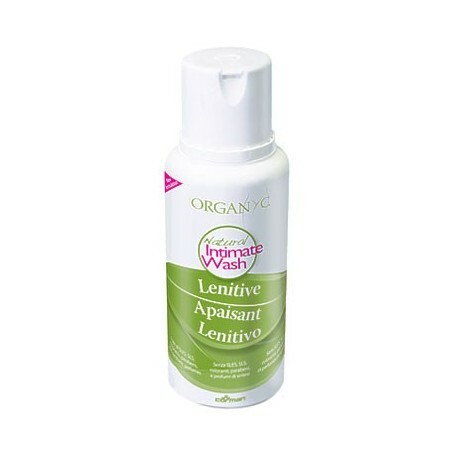 Formulated with surfactants from vegetable raw materials, and bilberry extract used for its refreshing properties. Lactic acid will help stabilize the natural pH after washing to prevent irritation. Sorbitol, Cocamidopropyl Hydroxysultaine, Caprylyl/Capryl Glucoside, Lactic Acid, Disodium Capryloyl Glutamate, Xanthan Gum, Glycerin, Lavandula Hybrida Oil, Vaccinium Myrtillus Extract, Calendula Officinalis, Gosspypium Herbaceum Seed Oil, Linalool. from organic farming ICEA certified formulation. Nichel, Chrome and Cobalt Tested, <0.1ppm.